Yesterday was TEDxAuckland 2012 after more than a year of planning and preparation. As an event organiser myself I know how much work that is and there were many great contributions of time and resources from all over. There were 17 speakers in 4 sessions starting at just after 10am and going through till 6pm. Speakers from session 1 were nano tech scientist Dr Michelle Dickinson, architect Andrew Patterson, physicist Dr David Krofcheck and dentist Dr Assil Russell. I managed to instagram (JASONKEMPNZ) every speaker at least once and here are a few of the unedited shots. Will load up selected shots in a later post. Session 2 kicked off with Alistair Knott, Pip Hall with her Wet Hot Beauties story of leaning into joy. Dr Paul Wood of whats your prison and Professor John Windsor on Fighting Multiple Organ Failure and ended with poetry from Sam Hunt. After lunch we had some music from Five Mile Town who had a kind of folk thing going on and then we heard from Emma Rogan on “inspiration wherever you are” 100 days project the Mobile Eye project, Sean Gourley ( my personal fave and the future of everything is augmented intelligence.) and Philip Patston on getting way past labels. For session 4 we had a song from Seth Haapu, Victoria Spackman on museum technology, Matthew Simmonds from Arvus on Infrasound, Paul Cameron on Booktrack and then finally Peter Young on the last Ocean. With just over 5 hrs of talks it seems like it would be easy to get overwhelmed by the flood of new ideas but for me this kind of discourse is paradise. Kind of like being at an amazing dinner party where everyone stops to hear the key conversations. What struck me about the Auckland event this year was the warm tone humourous vibe to many of the speakers presentations. Wordsmith and speaker guru Vaughn Davis is a funny guy and so it is probable some of that rubbed off on the presenters but I’d like to think we New Zealanders have a kind of joie de vivre that translates into laughing at our place in the universe. Here are my thoughts (and pics) on what worked well and how it went down on the day. There were a fair number of little magic moments from the silly to profound. Talks like Pip Hall’s looks like pure whimsey on paper but (because I had already seen an earlier version of her talk) I knew it was going to be a knockout- and it was. I took my 11 year old daughter along to her 2nd TEDx and she didn’t rate Sam Hunt but I just loved his rambling poems. It is the first time in my life I’ve ever seen him sober and it was a shock to see he still has poetry in the air that he breathes. Sam’s poetry shouldn’t work but it does and I loved that anecdote about Henry Moore’s sculture inspiring light and cut through. An actual Henry Moore quote “A sculptor is a person who is interested in the shape of things, a poet in words, a musician by sounds.” makes perfect sense. BTW miss 11 surprised me and picked Pro John Windsors lymph research as her top talk. That was amazing and unexpected. The speakers are all remarkable people but their talks worked best when there was less ego and less sales pitch – a few steered perilously close on both counts. If the idea is powerful enough then attendees will look check it out. Like any event with lots of people involved ( mostly volunteers) there is always room for a few tweaks but overall the bar has been raised magnificently. The MC ( in my view) didn’t add as much as he could have and less would have been more from him. I have tried to pick just one tweet for each speaker from the live stream on the day as it happened. Fantastic start to #tedxakl with nano speaker, Michelle Dickinson, giving all of us the belief we can we super heros! Love choc trick! Nice to see fellow @AUTuni Comp Sci grads presenting at #tedxakl on their MobileEye startup, very cool! For goodness sake, Victoria from the Gibson Group with "the wall" is ridiculously amazing at #tedxakl The future is now and it is Kiwi. Thank you Auckland, thank you tweeters and thanks to all speakers and sponsors and back room people who made it all look so easy on the day. Sam Hunt was sober? But seriously, an amazing event, and a really good summary. Thanks Jason. I love getting everyone else’s take on the event. And I loved it!! Thanks Chris. A good read. I like how the response to speakers can be so different. When programming speakers we want people who will polarise to some extent as trying for lightning in a bottle on the day. No matter how much rehearsing goes on there is still a performance aspect and some tings work better or worse in the heat of the moment. Sounds like a great event Jason. 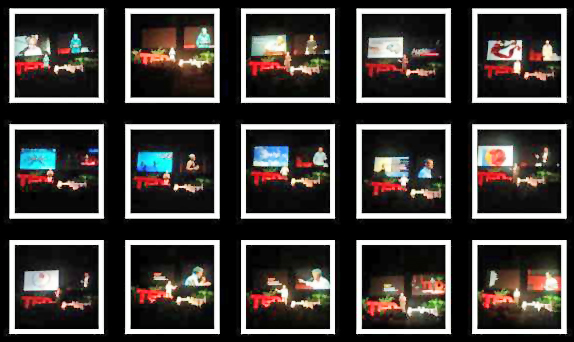 Are all of those speakers posted on the ted.com website? Once the video edits are complete they will be posted to the TEDx Youtube channel & other TEDx websites. Some will make it to the main TED website but since there are between 700 and 1000 talks each month and some 19,706 (so far) are available. Hard to predict when the Auckland clips will be complete. MOst of the team will want a day off after a huge weekend.